Note: This review was originally written in the early 2000s and published for a no longer running website: AudiobookCafe. This review is focused on both the book and audiobook. No doubt that a biography about the eccentric and neurotic little man, known as Woody Allen, would provoke some attention. In light of his scandalous past with Soon-Yi Previn, adopted daughter of his long-time romantic partner, Mia Farrow, this biography delivers Woody’s life with hard facts and sharp comments. “The Unruly Life of Woody Allen” tells the story of Woody Allen from his birth as Allan Konigsberg in 1935 to his initial career in comedy as a writer to his stand-up comedy and then on to his film career which includes screenwriting, acting, directing, and many other positions. We also learn of his personal life such as his parents, his relationships, his friends, and his enemies. Note: This review was originally written in the early 2000s and published for a no longer running website: AudiobookCafe. This review is focused on both the book and audiobook. When you mention the name Howard Roark, Dagny Taggart, or especially John Galt, some people’s ears perk up, and devoted Ayn Rand’s fans stand to attention. These are the pillars of Rand’s two famous novels, “The Fountainhead” and “Atlas Shrugged.” These books formed the basis of Ayn Rand’s philosophy, objectivism. But what do we know of Ayn Rand, the person; not the demigod? So that's 5 semesters completed; 30 credits achieved towards my PhD. It's gone by way quicker than I would imagine (or at least I can say that now, after 2 dozen posts and 18 months, right?). This semester has been ok as semesters go. It was a bit disjointed and getting into any kind of rhythm seemed all but impossible. I think that was the biggest challenge of the semester in that just as things normalized they got disrupted due to unforeseen circumstances or just how things played out. We got a few weeks into the semester and one faculty member canceled class and then we had a day-long adventure to College Unbound to learn about the cool work they are doing and tie it into our course. November was a bit chaotic since there were holidays and conferences which meant I was almost nowhere to be found. On top of that was, of course, an election that shattered all expectations and for myself, was devastating and hard to move forward from. Note: This review was originally written in the early 2000s and published for a no longer running website: AudiobookCafe. This review is focused on both the book and audiobook. Epic fantasy can be an extremely hard sell when it comes to audiobooks, especially if there isn’t an accompanying guide. “The Game of Thrones” is immense in breadth, and torturous in detail and design. While it is a great launching story for the six-book epic “A Song of Ice and Fire,” it can be daunting and confusing to remember all the characters, places, relationships, and histories. In fact, it is beneficial to go online to the many fan sites of Martin’s series to use their appendices, dictionaries, and other resource material to help keep track of what’s going on in this world. 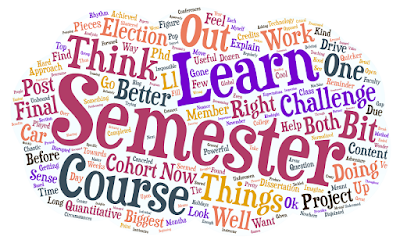 So in the last post, I covered the major projects of my first year in my doctoral program. This post covers the second year and the different research projects I tackled that eventually led me to my dissertation focus. 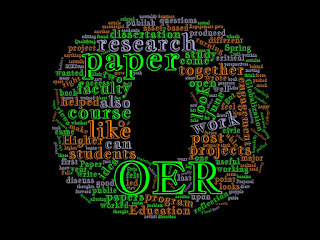 HIED612: Research on Students (June 2016) I rather liked this paper in that it connected my work on OER and thinking about supporting faculty and students while also drawing upon the annotated bibliography that I did for HIED612 (last post). I was able to discuss and draw upon the idea of techno-capital and the absence of consideration about how OER doesn't seem to have any constructive discussion about students with regards to OER besides savings. That bothered me enough to write this. It also helped that I had previously just written a guide for students in classes using OER.